As I was contemplating what I wanted to write about this week, I kept coming to a brick wall. I have loads of ideas and tons that I want to share, but for whatever reason, I feel stumped on what direction to go. So that is what I will start with since that is what is showing up for me. I don’t know about you, but sometimes I try to force myself to be something that I’m not always feeling at the moment. I’ve heard the word authentic so much lately. Be authentic. Use your authentic voice. And I let this run through my mind, and I get on board with that statement and think being authentic is important. But what does that even mean? 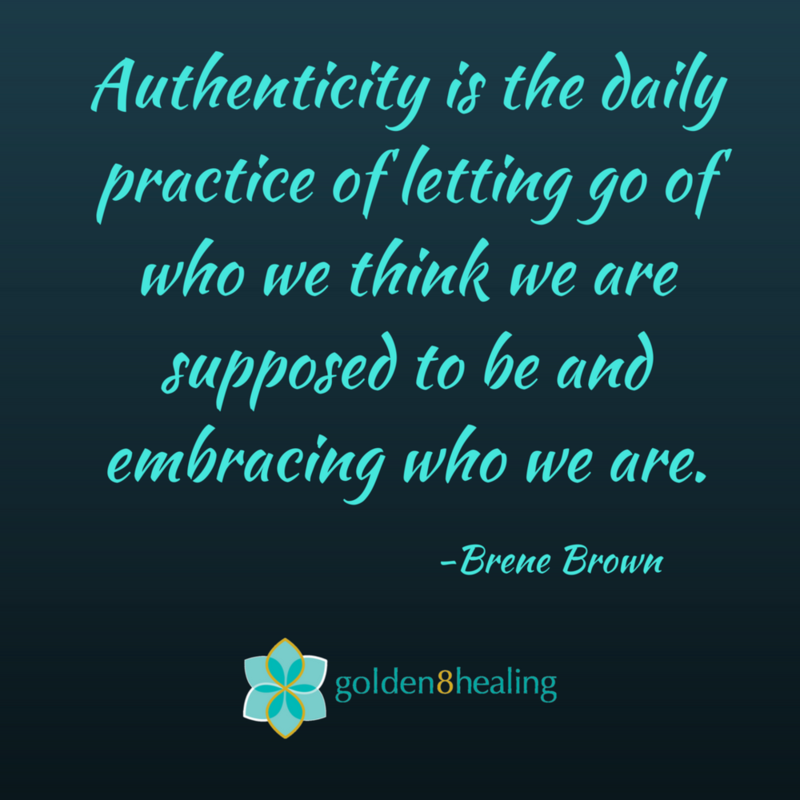 How do we know when we are authentic? Maybe that’s why I’m feeling a bit of the writer’s block right now. I could comfortably sit down and have a conversation with you, and I’m sure words would flow smoothly and effortlessly, but to sit down and write feels challenging this time. I feel like being authentic is when you say what you are feeling. To clarify, I’m not saying to share in a way that is pointing fingers at someone. It’s being vulnerable in admitting to not knowing something or being emotionally charged by an outside situation. Trying to say, do, or be something just for the sake of making someone else feel comfortable doesn’t feel authentic to me. And I believe we are in this transition in our society where we are shifting from the 'Age of Information' to the 'Age of Authenticity.' If you are highly sensitive and in tune with others then you can probably sense when someone is bullshitting you. I know I pick up on those vibes and it has me not fully trusting what they are saying. For myself, I feel that I’m always aiming to be as authentic as possible but also know I’m a people pleaser and don’t want to upset anyone. So, I tend to err towards the side of safety versus saying what I really feel or think. I hold back. I stifle my voice. I share a little bit but not the whole story. So, this week instead of sitting down and forcing myself to write something that would still have value to it but not feel super-aligned with, I’m opting to be real in my process to share with you. This week I’m feeling tired and unmotivated and want to take the pressure off of me to write something packed full of tips and tricks. Sometimes we need to stop. Take deep breaths and maybe take a nap. Because as beautiful as life can be, there are also those challenging times. Sometimes the happy and hefty times happen simultaneously. Honoring ourselves in those moments with something that feels lighter is the next step. So, I’m going to take a nap because napping feels like the most nurturing thing I could do for myself right now. If you are finding yourself feeling overwhelmed and not sure what to do - let this be your permission slip to do something loving and light for yourself. You deserve it. There is one thing though that I felt inspired to do this past week and that was to create a yoga video for you! You can find the link below. Enjoy!